Stoic Games has now in its book an epic creation in the world of games. Participate and be a part of it in their latest PC game, The Banner Saga. Starting with a broad spectrum storyline illustrated through awesome visuals, this game has that level of interactivity where you cannot but keep yourself delving deeper and deeper inside till the game itself navigates you to the exit door. Once you enter that enchanting universe, all your fate will be decided by the skills you achieve to get along with the levels and move on. It is all about a world of humans, varl and dredges in Scandinavia at the end of the Second Great War. It was a war of races both boding together and defending themselves from the external forces. The humans and the varls came together to fight against the Dredges. But this is the time for the Dredges to retort back and hence starts off the preparation of the Third Great War. 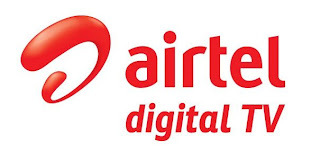 Here you are now with numerous activities to do among which decision making at the right point of time will determine how you lead your scoreboard and come out victorious. Whether you want to settle an argument between the clansmen preventing them from the plan of stealing the caravan’s valuable materials or you may just want to send a petulant prince far away from your clan, even if he could have come to a great help to you during the toughest of the fights. It is all up to you whether to invite a foe and let them join your team or prefer never to make an attempt to know what their true intentions may be. Irrespective of what might be the combination you choose to form your team, the rules of combat will be the same for all. The two stats that you need to watch out are: the strength and the armour. 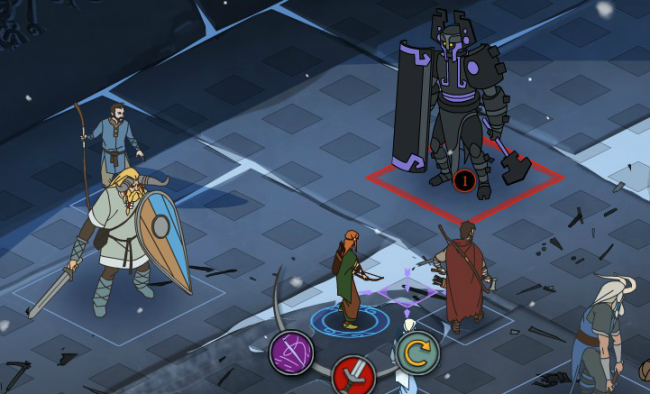 In The Banner Saga, Strength pulls in both the power of attack and at the same time rating your health. Once you face a defeat or damage, automatically your attack rating will succumb. But there’s also a third stat one has to be aware of – it is the particular element that powers you for the special moves you make – but simultaneously there will be some easy steps to get them back. Apart from the storytelling part and the combat system, you have another main course of action and that is monitoring the caravan of your fighters and the clansmen. In The Banner Saga, you have enormous scope to walk down the streets and corners of the place. As and when you pass by the villages you’ll get to see that people from several of them are eager to join your troupe. Now it becomes your duty to maintain a well - stocked food package ready to keep them fed healthy and happy. 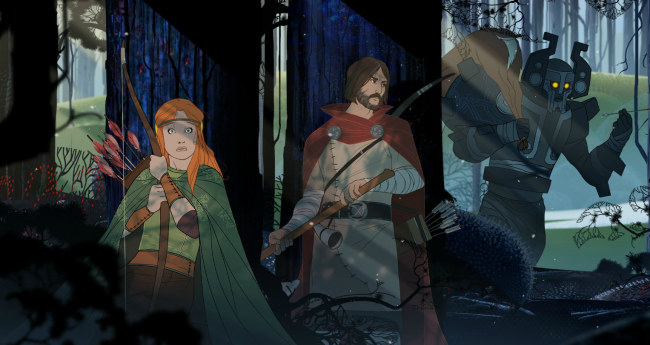 You may categorise The Banner Saga as a RPG strategy game, but overall it has much more in store. Impressive visuals with unique role playing game strategy and combat style.